It's not 100% good news however as some low elevation ski area in the Alps still need more snow and the Pyrenees are still waiting for a good snowfall and/or consistent cold weather for snowmaking. After the great snowfalls of November in North America there's been much less fresh snow in December and no snow at all reported in the USA in the past week. This is not a problem at resorts in the West where many resorts were running well ahead of seasonal averages anyway, but in the East it has been challenging with resorts struggling to open just a few runs when it's been cold enough to make snow at night. Around half of all Austrian ski resorts are open now, the remainder should open before Christmas or in some cases, New Year. Resorts have reported excellent falls over the past week including over three feet at St. Anton (95 cm), and great accumulations too at Lech Zurs (80 cm) or Pitztal (79 cm). The best snow depths in the country can still can be found at the glaciers Molltaler (150 cm), Tux (140 cm) and Kaunertal (132 cm) but that's less of an issue once the main resorts have begun to built up adequate bases as now. It's been a December so far for snow in the French Alps and it's till snowing with resorts including Avoriaz and Meribel reporting 30cm+ of new snow in the past few days and much more is expected later this week too. 60 to 80cm more fresh snow should fall on Savoie, Haute Savoie and Isère from 1400m above sea level. 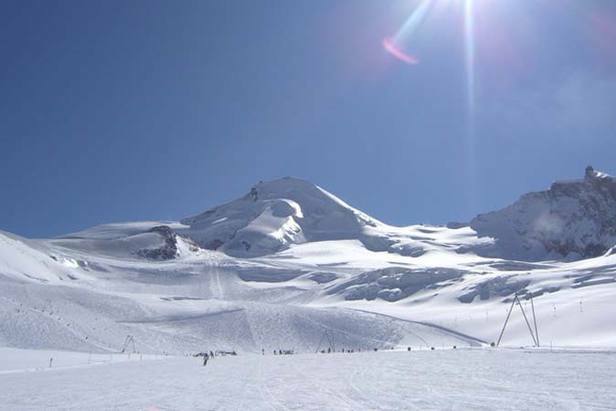 In the Southern Alps, large high-altitude resorts (Serre Chevalier, Vars / Risoul, Montgenevre or Orcières ...) are also preparing to welcome guests and already offer substantial snow depth at the top of the slopes (155cm in Serre-Chevalier ...). However at lower altitudes, small villages resorts still lack snow to be able to open their slopes. However, new falls (from 25 to 40cm) are expected Thursday and Friday which should improve things markedly. New snow in Italy too has helped further improve conditions there. On the West side of the north of the country there have been powder alarms for heavy snowfall at Courmayeur and the Aosta Valley while on the Eastern side almost a third of the Dolomiti Superski's 1280km are now open and the Sellaronda opens on Saturday 17th December after 10-25 cm of new snow fell on Monday night. The 40km track around the Sella mountains and the region expects to have more than 500km of slopes open then. Everything is also ready for some of the biggest events of the season with the slopes described as, " perfectly prepared" for the Ski World Cup 2011. On Friday and Saturday, the athletes will fight for victory in Super-G and downhill in Val Gardena then on Sunday and Monday it's the turn of technical disciplines with a GS and a slalom in Alta Badia. It may be hard for some to believe that after being the subject of a mainstream media ‘There's no snow in Switzerland' reporting frenzy less than two weeks ago, Swiss resorts have been seeing the greatest snowfalls of all over the past week with the greatest falls reported by Gstaad and Elm of 1.35-1.45m over the past 7 days. In addition Les Marécottes reported 120 cm and Crans Montana 80 cm including 40cm on Sunday/Monday so the po0wder is fresh there. It is still snowing in Switzerland and yesterday (Tuesday) ski resorts reported fresh snow at Zinal (20 cm), Zermatt (15 cm) and Andermatt (10 cm). Conditions are less promising in the Pyrenees where there has still been little or no snow this autumn and temperatures were in double figures again yesterday afternoon. No French resort has been able to open (although Cauterets aims to open upper slopes this weekend) there yet and while the two Andorran ski areas are open, they have very limited terrain available with machine made snow. Grandvalira is closed at Soldeu but reports 10-35cm of cover at its highest sector in Pas de la Casa. Conditions are good across most of Scandinavia now after the warm October and early November. In fact the resort of in Norway reports the most snowfall in Europe over the past seven days with 125cm (just over four feet), 50cm of it over the past 24 hours! All five Scottish ski areas were due to open after fresh snowfall last week but storm force winds damaged lifts and buildings at the two West Coast areas, Glencoe and Nevis Range, preventing them from joining Cairngorm, Glenshee and the Lecht on Saturday. 400 skiers and boarders were reported at Cairngorm making first turns of the season. Glencoe was ready to open still afrer hard work by staff but was thwarted by a wait having electrical supplies restored. All five centres hope to open this weekend, with fresh snow forecast, marking a second year when all five have been open before Christmas. Western Canadian ski areas continue to be in great shape following the November snow deluge and as well as being well ahead of seasonal snowfall averages for this early in the season, have had fresh snowfalls too to freshen things up. In the East it's been a more challenging start to the winter but most areas are now open with limited terrain. Tremblant and Mont Sainte Anne are both open, Mont SUTTON opens this Saturday, December 17th but due to the warm weather temperatures of the last few days, only the Cascade trail and chairlift II west of the Family Zone will be open. Resorts in North Western North America like Mt Baker in Washington state and Eaglecrest in Alaska are still reporting among the world's greatest snow depths at present (around 2.4m) but much of that dates back to November and resorts are mostly waiting fresh snow. On the East coast the situation is not so good as there's been little snow and temperatures too warm for snows making in some areas, although resort further north such as Sunday River in Maine have had some fresh snow. Attitash in New Hampshire, for example, one of New England's leading ski areas, has been closed but reopened yesterday after snowmakers took advantage of the past couple of days' cold temperatures and dry humidity. Limited intermediate/advanced skiing is available and unfortunately more mild weather is expected later this week. On the West Coast resorts are still benefitting from early season snowfall accumulations. Last season Mammoth in California was deluged with several metres of snow in the week before Christmas and they must be hoping for more big falls - currently base depths are 45-60cm. It's currently sunny there but cold and there's hope of fresh snow at the end of the week.